This fully air-conditioned hotel comprises 4 floors with a total of 121 rooms of which 6 are suites. Further hotel amenities include a souvenir shop, a café, a bar and a restaurant where traditional Hungarian cuisine as well as international dishes are on offer, as are an array of top Hungarian wines. 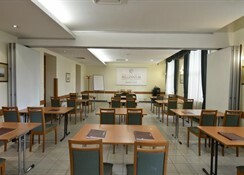 There is a 400 m² conference centre for meetings with up-to-date facilities. 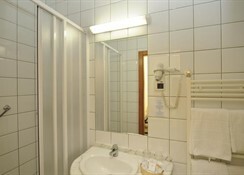 Moreover, WLAN Internet access, room and laundry services are on offer and there is a car park for those arriving by car. Amongst the leisure offerings count a Jacuzzi, a sauna, a beauty and pedicure parlour and an array of massage offerings. 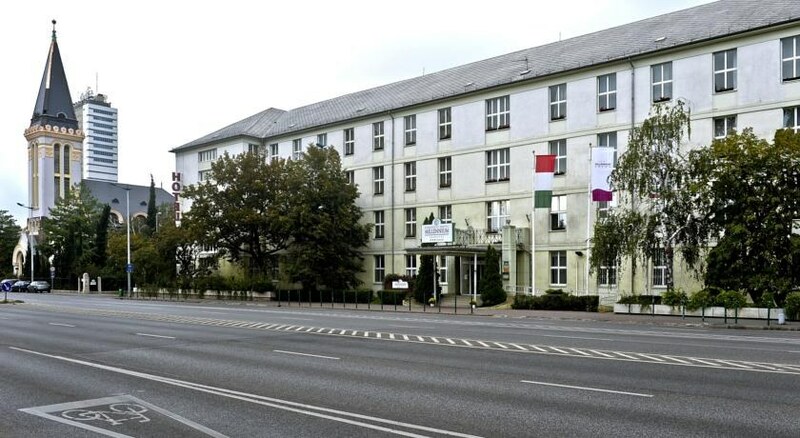 This pleasant city hotel is located on Ülloi Street, the main street connecting Ferihegy airport with the centre of Budapest. The lively city centre and many other attractions are just a few minutes away by car or metro. Budapest airport is 15 km from the hotel. Each of the spacious rooms features an en suite bathroom with hairdryer, a direct dial telephone, satellite TV, a minibar, WiFi Internet access, individually controllable air conditioning and central heating. 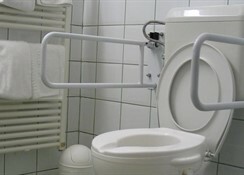 Guests may request a non-smoking room, or a room with wheelchair access, a family room, or anti-allergy rooms. Cots for infants are also available. By car: From Ferihegy Airport: Drive on airport motorway direction city centre approx. 10 kms. The hotel is located on the right side. From Motorway M0, M1, M7: Drive on motorway direction city centre via bridge "Lágymányos". By the stadion FTC (white-green building on the left side) please turn left. The hotel is located on the right side. From the city centre: Drive direction airport. The hotel is located between Nagyvárad tér and Népliget on the left side.